Vacations used to be all about luxury. The ideal travel scenario was staying in an extravagant hotel, with sprawling grounds and top-notch amenities. These days, though, thanks to the rise of homestay sites like Airbnb, many people opt to stay in houses or apartments. More and more travelers are even choosing spaces that are much smaller than they’re used to, thanks to the tiny home trend. Tiny home getaways allow travelers to experience what its like to live the tiny home lifestyle without committing to it full-time. The tiny home vacation cuts out some of the unnecessary things we deal with in day-to-day life so simple relaxation can be the focus. If that’s the kind of holiday you’re interested in, look no further. 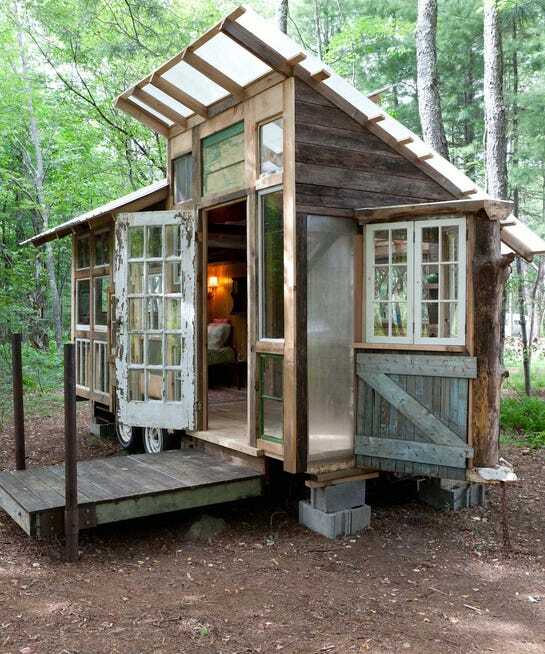 Ahead, we’ve rounded up the coolest tiny homes available for rent on Airbnb. Some pack lots of luxury into a super-small space, while others are stripped down to the very basics. Located on beaches, in the woods, and smack dab in the middle of busy cities, each one provides a different kind of travel experience. Take a look.